It’s my favorite time again– contest time! 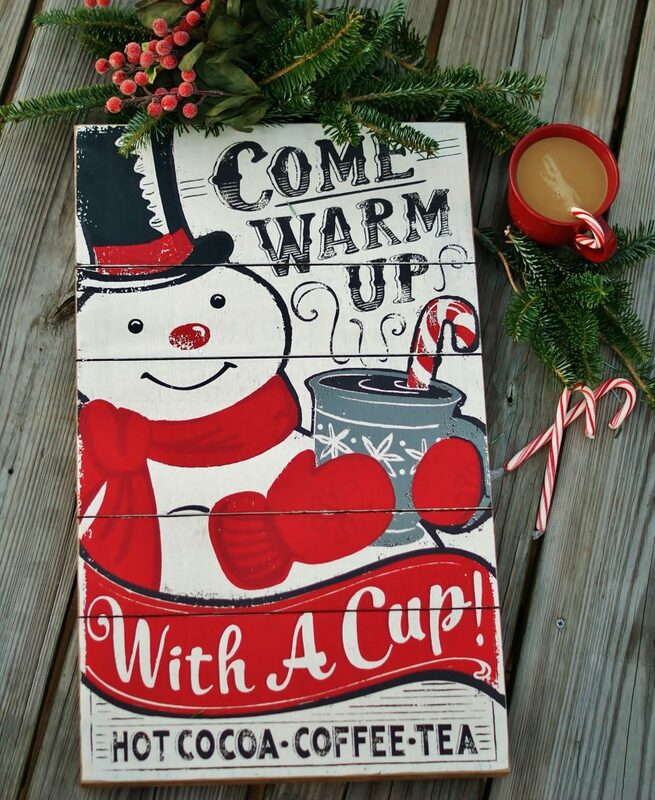 This Christmas, A Southern Discourse is giving away this cozy little snowman sign by “Around the Block” to one of our lucky subscribers. It’s our way of saying thank you for being such wonderful readers, commenters, and Southern Discourse sharers! You are what this endeavor is all about. I hope that you are blessed, encouraged, and inspired every time you visit ASD. Pssst! Can you keep a Christmas secret? I hear there is even going to be a extra special holiday bonus surprise added to this prize! 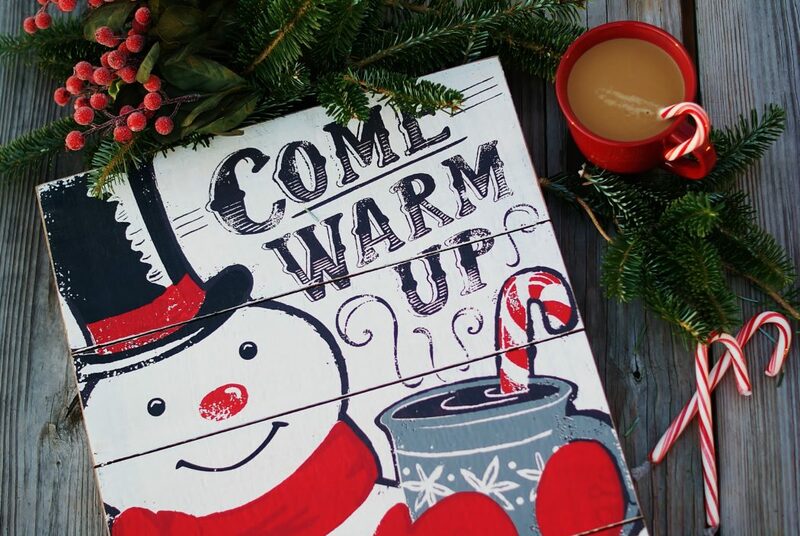 This dapper Frosty is full of hospitality as he invites friends and families to warm up this winter by sharing a cup of coffee, cocoa, or hot tea. His total sign dimensions are 15 1/4″W x 25 1/4″L, and he comes complete with a picture hanger already attached. Frosty would love to be a part of your family’s celebration this Christmas. 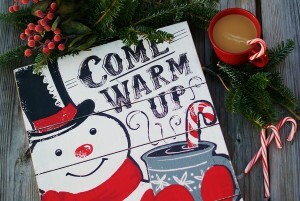 He would look great on your door, by himself or layered on a wreath, inviting guests inside to cozy up fireside with a cup of Christmas cheer. 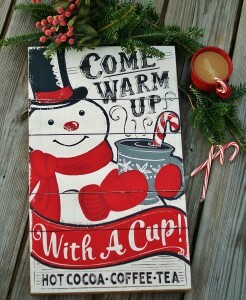 Not to mention the cuteness he would add to your kitchen. Plus, the good thing about Frosty is that, even after Christmas, he is more than glad to hang around all winter! All subscribers, new and existing, are eligible for this giveaway. Fill in your email address and use the “SUBSCRIBE NOW” button to subscribe. If you are having trouble finding where to do this, use this link www.subscriber.com/join-the-discourse/. The link will tell you where to look on mobile devices and on your PC, then walk you through the steps. Contest will end December 11, 2015. Winner will be selected via random number generator.